At Christian Adam, Inc, know you are getting the highest prices paid. You deal directly with the owner. Discretion and highest value assured. We are right around the corner and specialize in estate buying. 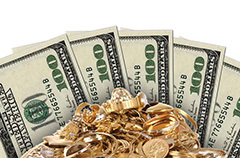 Let us help you turn your gold into cash. ♦ If you decide to sell, we pay you in cash! Put your old and broken jewelry to good use by turning it into cash! We test your jewelry in front of you! Are you sitting on a buried treasure? 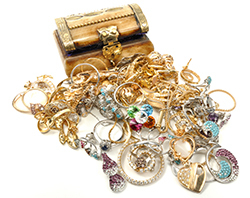 No matter what the condition of your unwanted gold, platinum or sterling silver jewelry — broken rings, kinked chains or outdated charms you haven’t worn in years — it is all worth something because it contains a precious metal that can be recycled into new jewelry. 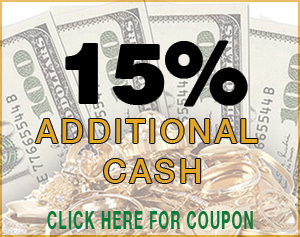 Turn Your Unwanted Jewelry Into Cash! Conveniently located at 960 Bloomingdale Road in Staten Island, Christian Adam, Inc will give you cash for your old, broken and unused jewelry. 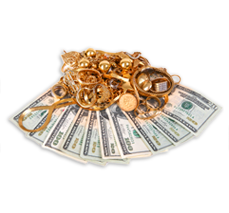 From silver and platinum jewelry to all types of gold, We will offer the highest price and pay you cash on the spot! Whether you only have one earring, or a broken necklace,or a pile of unwanted charms, we buy jewelry in any condition. 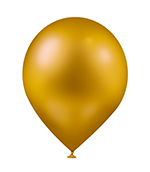 Instead of a party where your guests have to spend money, host a gold party and your guests will make money! Get the details and schedule your party now.